Nature's Linux was a Linux-based operating system developed by Japan's Nature's Linux Alliance. Its main focus was security. 2018-08-05 NEW • Distribution Release: Netrunner 2018.08 "Rolling"
Rate this project The Netrunner team has published a new snapshot of the distribution's Manjaro-based Rolling edition. The new snapshot, Netrunner 2018.08 "Rolling", features updated KDE Plasma packages, improves GTK+ application integration into the default Plasma desktop and upgrades the Krita drawing software. "GTK Apps now use Kwin borders integrating nicely with the rest of the Plasma desktop environment. Krita is shipped as 4.x release, which got some nice overhauls and features compared to previous version. System Settings - Plasma Tweaks: Using the new sidebar Layout, we sorted all the revamped UI-related KCM modules into one section called 'Plasma Tweaks' for easy configuring Plasma to your liking. 2018.08 comes with some new Plasma Theme that has some transparency built in to allow for experimenting with the new Blur options. It also features a new default wallpaper style, because why not." The release announcement includes a list of key package upgrades and screen shots. Download (SHA256): netrunner-rolling-2018.08-64bit.iso (2,508MB, torrent, pkglist). Also available from OSDisc. The Netrunner project has announced the availability of Netrunner 17.06, a desktop Linux distribution built from Debian's "Testing" packages. The new version ships with the KDE Plasma 5.10 desktop, Linux kernel 4.9 and Firefox 52 ESR (Extended Support Release). "The Netrunner team is happy to announce the immediate availability of Netrunner 17.06 'Daedalus' 64-bit ISO image. Netrunner 17.06 ships with an upgraded stack of KDE Plasma, Frameworks and Applications on top of an updated Debian 'Testing', plus the usual selection of applications like LibreOffice, Kdenlive, GIMP, Audacious, Steam, Skype, Transmission, VirtualBox, Krita, Inkscape and many more. Here is an excerpt of some major version numbers shipped in Netrunner 17.06: Linux Kernel 4.9, Plasma 5.10, Frameworks 5.34, Qt 5.7.1, KDE Applications 17.04, Firefox 52 ESR, Thunderbird 52.1. Besides the software updates, we have overall refined the stack and also included a new set of default wallpapers." Information on the new update to the Netrunner distribution, along with screen shots, can be found in the project's release announcement. Download (SHA256) the live DVD image from SourceForge: netrunner-1706-64bit.iso (2,131MB, torrent, pkglist). 2016-10-23 Distribution Release: Netrunner 16.09 "Core"
The Netrunner project has released a new version of their distribution. The new version is Netrunner 16.09 "Core" which carries the code name "Avalon". Netrunner's new Core edition is based on Debian's Stable (Jessie) branch and ships with modern KDE Plasma packages. "Netrunner Core (like its upcoming big brother Netrunner Desktop) is based on Debian Stable with the latest Qt, Plasma, Framework and KDE Applications. 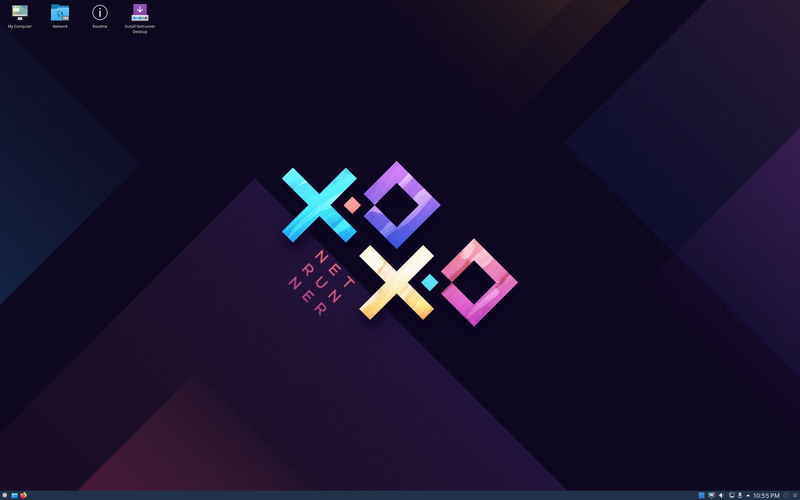 Core is the streamlined version of the upcoming full Desktop version, and therefore provides only a few essential applications on top of the latest Plasma Desktop. Here is an overview of the Core features: Based on Debian Stable (Jessie 8) Provides latest KDE packages of: Plasma 5.7.5 + Frameworks 5.27 + KDE Applications 16.04 + Qt 5.7.0" Further details can be found in the project's release announcement. The Core edition is available in a 64-bit for x86 computers and there is an image for the Odroid C1 ARM device. Download (MD5): netrunner-core-1609-64bit.iso (1,257MB, torrent, pkglist).